Designing Beautiful and Professional WordPress Themes for both Beginners & Experts. Your visitors will get a great-looking website on all devices and screen sizes. Pixel perfect designs are coded on top of our smart CSS grid to give your site a professional and elegant look. All our themes are easy to setup and get you going within minutes. Steady updates for our themes means your site will always be compatibile with the latest WordPress versions. The robust code underneath our themes is powerful yet lean and bloat free. It follows the best coding practices to keep your site ultra light and load super fast, thus giving it better SEO results. Need some help? The wpHoot support team is here to guide you through any issues should you need us. 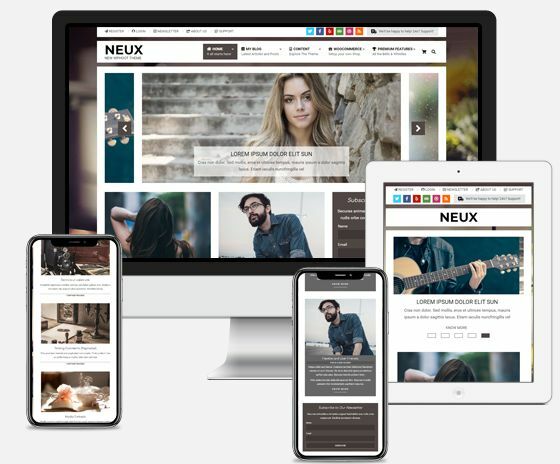 Built on top of powerful code and features, Neux makes your website stand apart with its unique design and aesthetics. Go bold with a powerful fixed background image and your content laid neatly on top of it. Make sure your visitors remember your site and that it does not get lost in the vast sea of generic looking websites. Multipurpose theme style for sites which want to create an impact on their visitors. 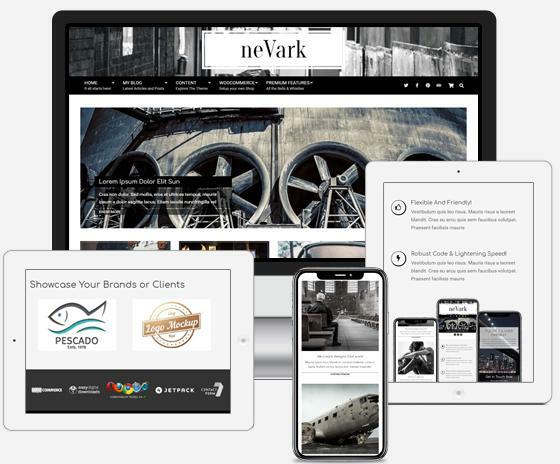 Nevark supports multiple widgets and provides the perfect compatible platform for most high end plugins to evolve your site into more than just a blog. 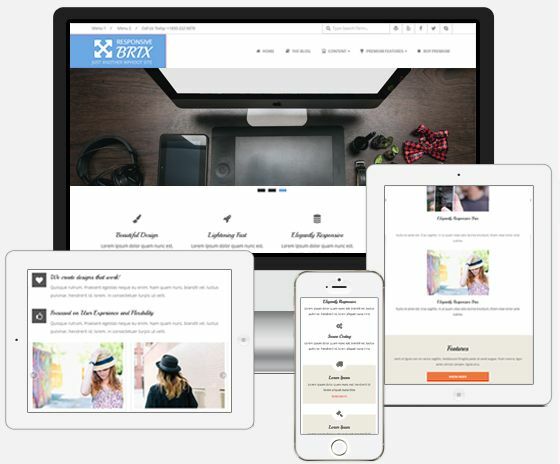 Create an online ecommerce shop, a forum or an elearning subscription members platform within minutes. The perfect starting point for modern sites with ease and flexibility! 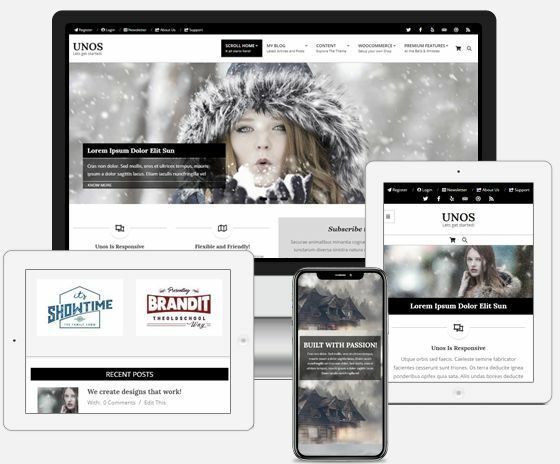 Built on WordPress core coding standards, Unos is the perfect launchpad to start your multilingual blog, business site, or an ecommerce store. Standardized code ensure compatibility with all major plugins and page builders, while the carefully crafted pixels give your site a clean modern minimal look. Create a fast loading WordPress site with a bold design within minutes. Hoot Du is perfectū for websites that want to look different and create an impact. A dark yet modern clean design makes sure your visitors love your site and remember it. 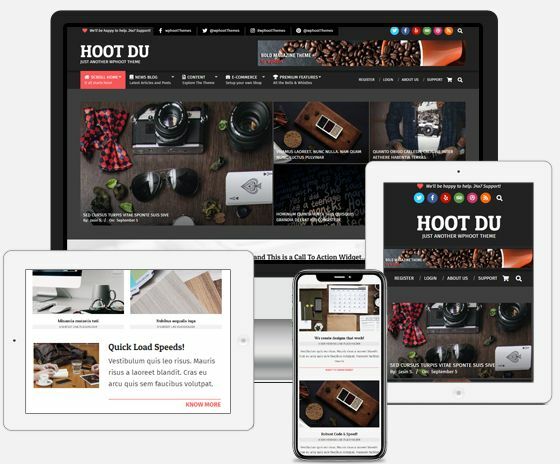 Perfect for blogs, magazines, company sites, profiles and pretty much anything else, use Hoot Du to stand apart from the crowd. Create a Powerful & Professional site within minutes. Our latest and most powerful theme till date! 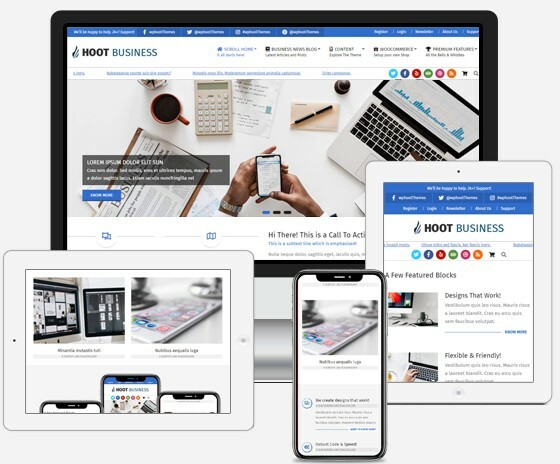 Hoot Business allows you to create professional looking website suitable for local businesses, online companies, marketing agencies and pretty much anything else. Flexible and powerful code works in sync with our HootKit plugin to offer you amazing flexibility and functionality. 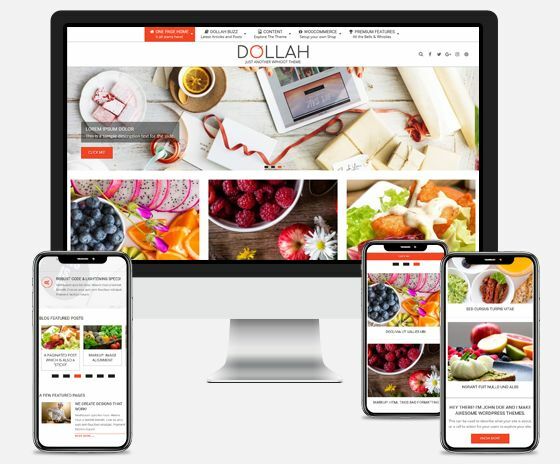 Keep your site running fast and slick with Dollah, perfect for image intensive sites like food blogs, visual agencies, creative companies and anything that requires image grids and galleries. Let your images speak for themselves and be the highlight of your site. 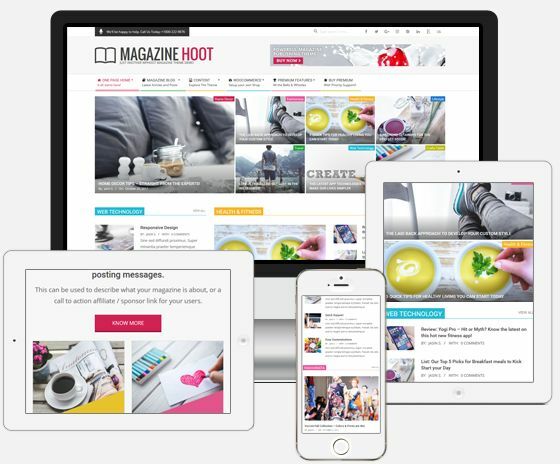 With the Hoot Framework designed to load at blazing fast speeds under its hood, Magazine Hoot is the ideal theme for setting up fast loading news, magazine and blog style sites. Get setup in minutes with powerful customization features that let you showcase your content. Harness the ultimate flexibility of Hoot Framework in a fast loading theme with minimal and modern design. 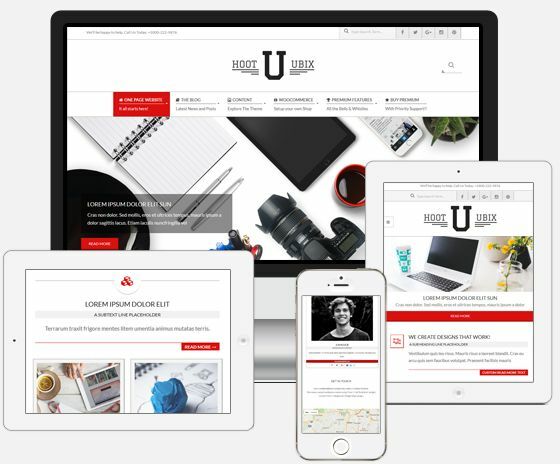 Hoot Ubix was coded to load lightening fast, yet still be our most flexible and user friendly theme ever. Stand Out and Make an impression! Fashionable.. Stylish.. 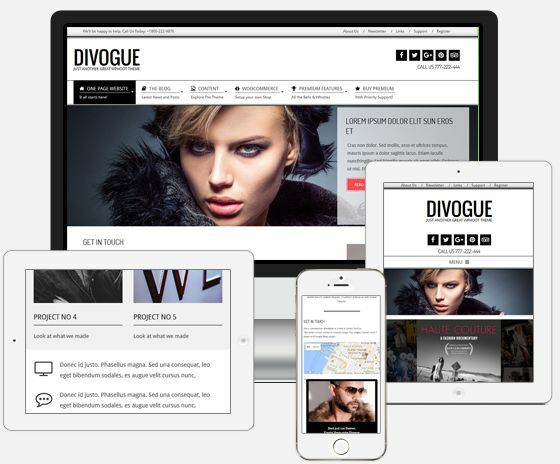 Spacious.. A modern contemporary design powered by robust and secure code, Divogue is easily one of the best themes we have made till now. With its simple setup and powerful options, making an impression was never this easy! 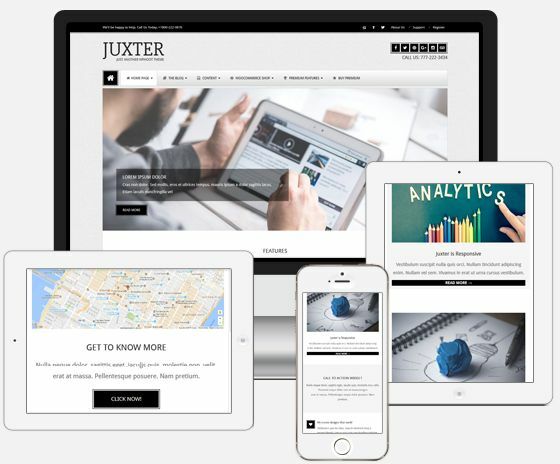 A modern twist on a classic design, Juxter is a clean multipurpose responsive WordPress theme with numerous design and layout options. Packed with custom shortcodes and widgets, Juxter gives your site a unique and beautiful look. Go Bold. Go Modern. Go Strong. Go Bold and Modern with contrasting colors in Metrolo. 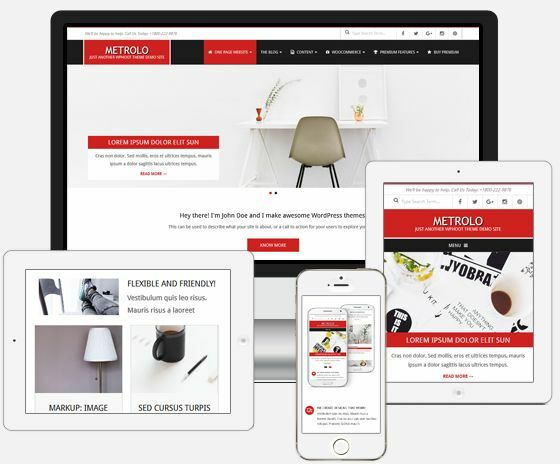 Offering parallax and one page design options, Metrolo is perfect for any website which that to make a bold style statement, yet look professional and clean at the same time. A mobile responsive flexible theme with a leftbar classic layout in a modern clean minimal design. 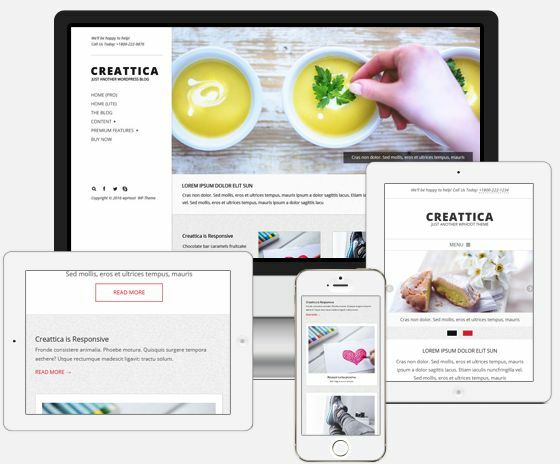 Creattica is perfect for websites related to design, food, travel, church, holidays, personal and portfolio sites. A perfect combination of an elegant design with robust and light weight code. 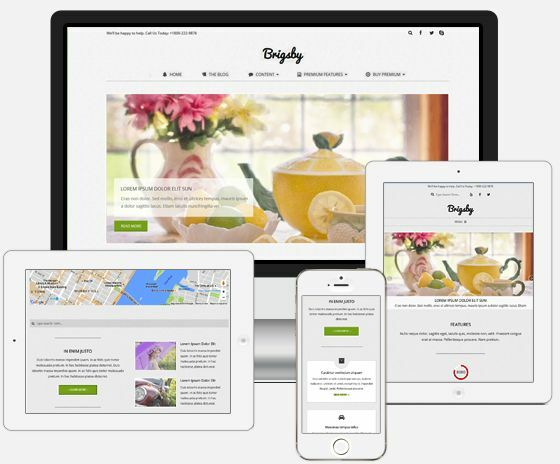 Brigsby features a minimal design and comes packed with powerful features and layouts you can customize. Perfect for rookies and developers alike. A modern, fast and responsive WordPress theme with easily customizable options. Create professional looking sites within minutes. A modern design with secure robust code underneath it to power your latest site. 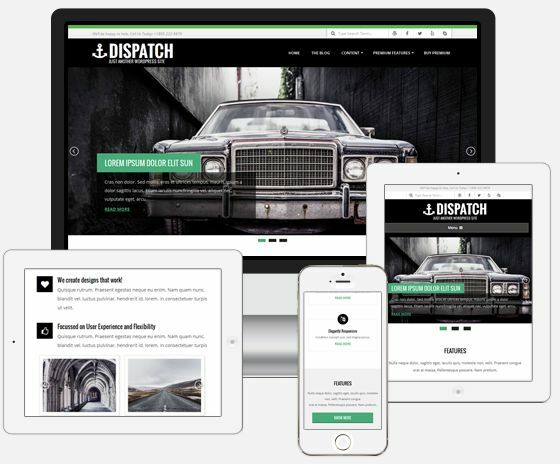 Dispatch is an easily customizable, fast loading, retina-ready, responsive theme with a modern bold design. It is perfect for web agencies, digital studios, corporate, personal and business websites with a strong and bold identity. A light weight, fast and responsive WordPress theme with elegant and professional design. 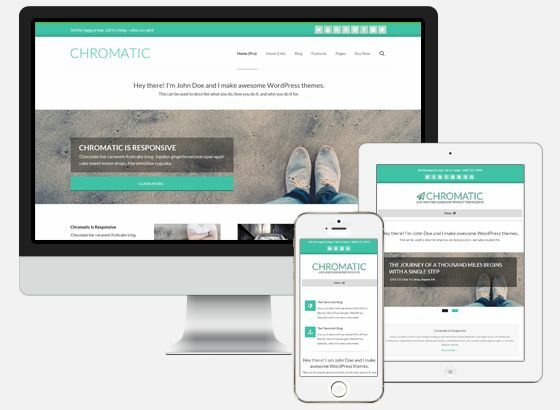 Easy to setup and customize, Chromatic is suited for both the casual bloggers who want to get started right away, and the advance webmasters who require greater control over their site design.